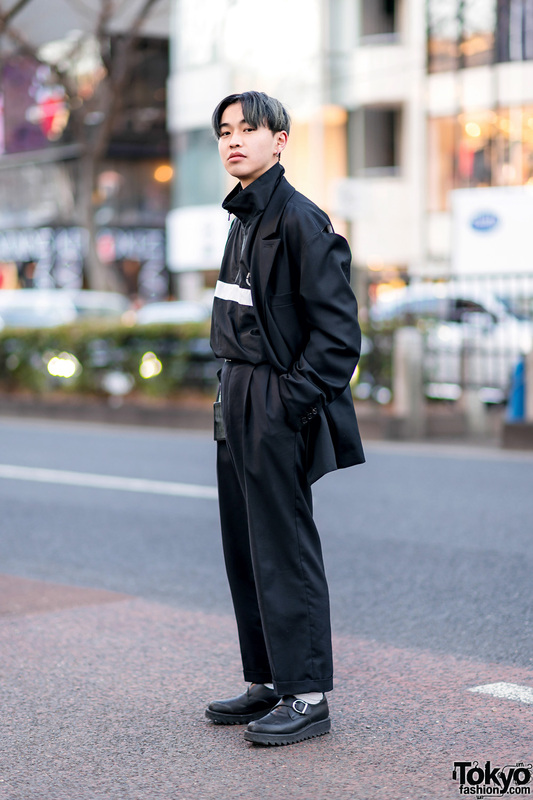 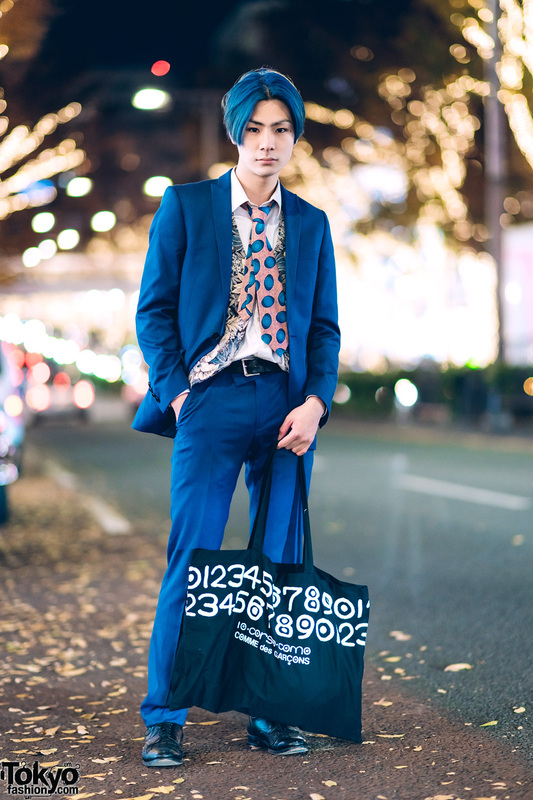 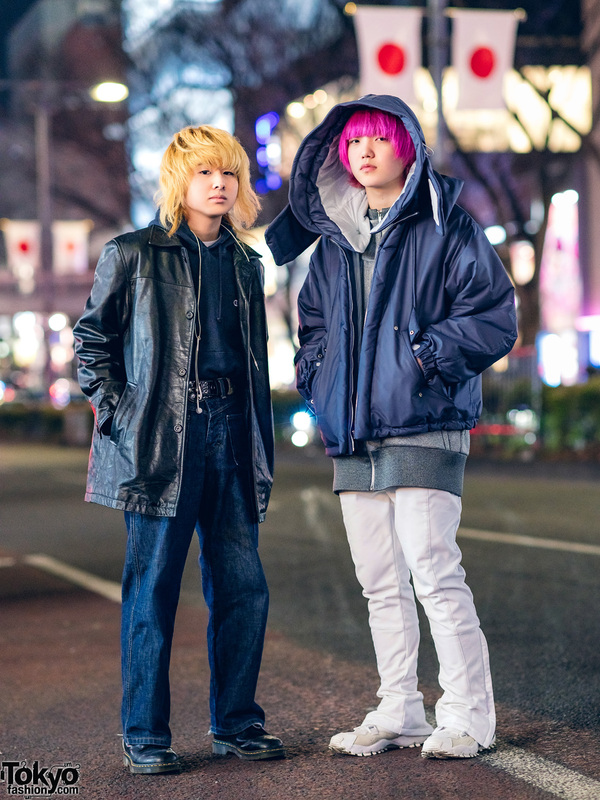 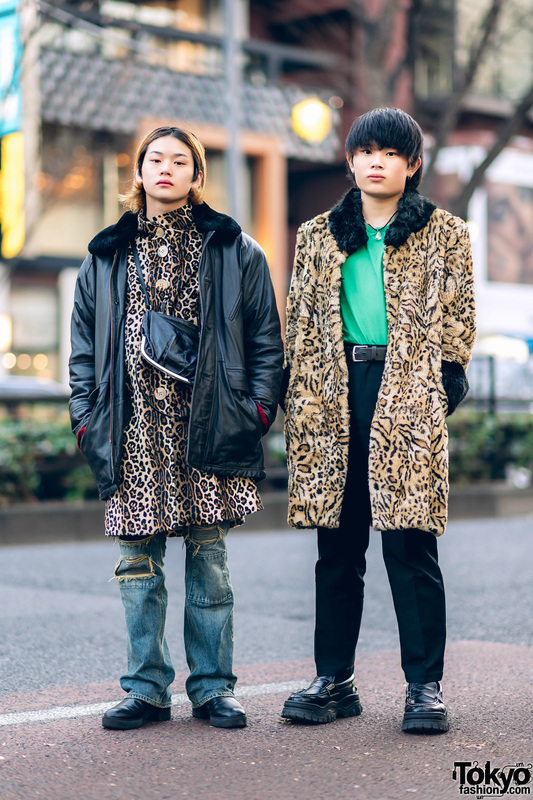 Model and musician in monochromatic street fashion while out and about in Harajuku. 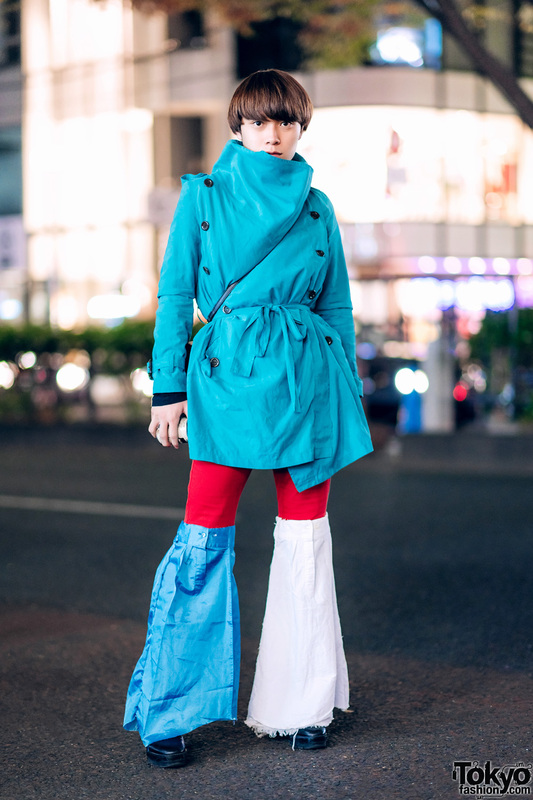 Harajuku guy sporting a blunt bob, a resale cowl-neck belted coat, remake pants with flared hems and a satchel sling bag. 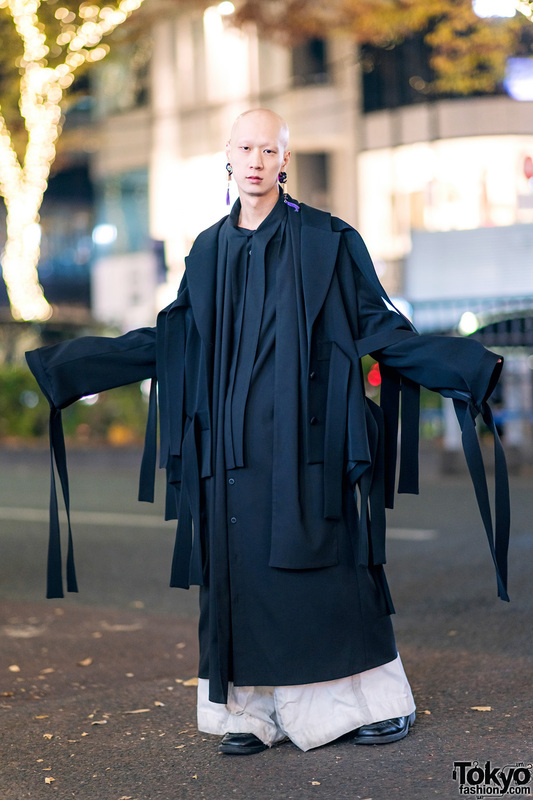 Harajuku student wearing a belted maxi coat over a shirt dress, velcro-strap leather shoes, a handmade bucket hat and a furry crossbody bag.